The technology is moving fast and in favour of promoting convenience. We have already seen as to how online education is fast emerging as a preferred choice learning. The onset online education has opened the door to access coveted degrees from top colleges and universities based abroad. Well, enough said about online education even as it is still in preliminary stages of growth. We now move on to yet another novelty concept – Online Examinations. Yes, you’ve read perfectly! Going forward students can appear for examinations from the comforts of their home by appearing for online exams. No need to travel to your college under the blazing heat of sun or the showers in the monsoon season. A US firm, software Secure has developed a program which allows students to appear for online examinations without any cheating by keeping them under surveillance and cutting off any access to any cribbing material. 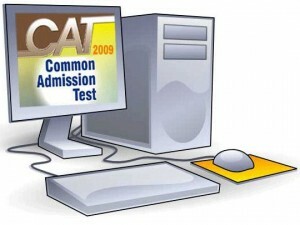 Pointing towards the feasibility and validity of this unique software, the report further points out that the software locks down the accessibility to all the files on the system from which the student is appearing for the exams. Well, one could as well argue whether this measure is enough to ensure utmost honesty among students, what with the world of data accessible on the internet (read Google). Yes, rightly so, the software also blocks the system to allow the user to surf the pool of internet. Of course, the site required to access the online exam is accessible. The software creates an environment through audio and video recording to ensure that the student is under exam conditions during the whole period of time set for the test. That’s not all; the software also determines the validity of the candidate appearing for the exam by checking his/her fingerprint. This footage of examination is accessible by the supervisors at any given point of time. This procedure of online examination saves the traveling time and efforts required by the students and faculty in making their physical presence felt at the examination campus. As of now, this software is being experimented by one of the British University, even as such system of online examinations is already prevalent in the United States. Most of such advanced technological solutions arrive in Indian with a time lag of few years. Hopefully, even Indian students can soon access such comforts from their drawing rooms. Indian Students Refuse The Lure of US Education; Admissions Drop by 28%! Once again a very good concept article!! I look at it purely from environmental point of view. The concept is taking out paper from the equation!! However as pointed out the system locks out the access to infoth avoid cheating, what happens if the mentor to the student is sitting next to the student with another computer? But as the concept is good, they can try it in phases. Phase 1 : Try it in schools / colleges the same way they are conducting the exams now. It reduces the use of paper. Phase 2 : To take care of students who travel long distances to reach exam sites (some students travel 100 km from their villages to cities just to attend exams), in the village itself, some govt buildings in their village can be alloted to allow students to write exams (just like we conduct voting during election of MLA/MP in govt buildings) All the student has to do is go to that particular site, log in his user name, password (which he recieve from school just like the hall ticket now) and start writing exam under supervision of offcials. From environment point of view, this will reduce use of transport and save petrol/diesel and money for parents of students. Phase 3 : When technology comes up with a fool proof way of avoiding cheating, allow kids to write exams from home. From environment point of view, it is the best option.